The Russian government contractor Rosatom said it will soon sign documents transferring operational control of the Bushehr nuclear power plant to Iran. “Bushehr is currently operating at 100-percent capacity and the process of preparing it for transfer to the project originator is concluding,” Rosatom's Sergei Kiriyenko said. 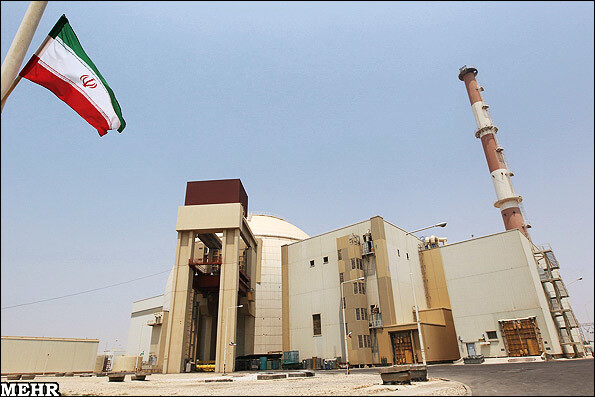 Rosatom's construction division, Atomstroyeksport, finished construction at Bushehr, after a German company started in the mid-1970s but pulled out of after the 1979 Iranian revolution. Tehran signed the Bushehr contract with Russia in 1995. Bushehr reached full capacity at the end of August 2012. 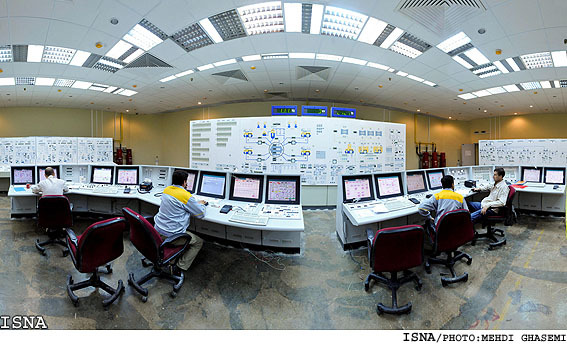 In real terms Iranians have been running it for a year and have made many improvements including an upgraded digital control center. WASHINGTON - The Institute for Science and International Security determined that Iran would gain what was termed critical capability in mid-2014. In a report, the institute said Iran would be capable of producing weapons-grade uranium without detection. "Iran would achieve this capability principally by implementing its existing, firm plans to install thousands more IR-1 centrifuges, and perhaps a few thousand IR-2m centrifuges, at its declared Natanz and Fordow centrifuge sites." Hopefully it wont get attack by Israeli terrorists. There is no need for that because the technology scrounged for its construction is unreliable. your worries about the place should center on seismic activity again damaging it. it would be weapons development sites that would be attacked. Rest assured, nothing will happen and Iran will develop better and more advanced reactors, even miniaturizing them. You mean something the US was doing over sixty years ago? Alleged "weapons development sites" with no proof, in a member of the NPT (Iran), while "weapons development sites" in a non-member of the NPT (the zionist entity) are kept quiet about by anti-Iran people. Sorry to break some your anti-Iranian Achy Breaky Hearts, Russia has just announced that it will be building more nuclear plants in Iran. TEHRAN, Aug. 12 (UPI) -- Russia is set to sign an agreement with Iran to build the country's second nuclear power plant, outgoing Iranian Foreign Minister Ali Akbar Salehi said. "Iran held consultations with the Russian side and soon an agreement of mutual understanding will be signed for the construction of a new power plant," the Iranian Mehr News Agency quoted Salehi as saying Sunday. Salehi said Iran required nuclear power for electricity and medicine. Russian Parliament Speaker Sergei Naryshkin said during an Aug. 4 visit to Iran that the two countries planned to expand cooperation on the civilian nuclear power front, RIA Novosti reported Monday. Salehi said earlier this year that Moscow was Tehran's preferred partner to build a second nuclear plant, the Russian news agency said. Anon 10:29 AM, Iran's weapon development program is a breech of Iran's NPT obligations and the fact that other nations have nukes and are not signatories to the NPT does nothing to change or excuse Iran's lies and schemes. don't hold your breath waiting for it to be built. how's that Iran/Pakistani pipeline doing? Iran has been pushing the project for more than 8 years.... and it's still not happening. Anonymous August 13, 2013 at 4:34 PM, it means that those other states are in no position to point fingers at and lecture Iran. They have no right. “we will discuss the project with the new Iranian cabinet for seeking the entire financing,” says Petroleum minister. As the government is aware that US sanctions may hamper financing for the Iran-Pakistan gas pipeline project, it has decided to place a request before the new Iranian government for completely financing the vital energy project. Iran had committed to the previous PPP-led government a loan of $500 million for laying the pipeline in Pakistan, which would cost more than $1 billion. The two governments also agreed to award construction contract to Iranian firm Tadbir Energy. However, the contract could not be signed in the absence of sovereign guarantees by Pakistan. It's taken the regime with their Russian buddies twenty years to build this single reactor.By the time the other two are built the advanced countries will be using fusion energy and mining the asteroids in outer space. Iran is working on fusion. And you honestly believe the US will pass on the hard earned knowledge to a bunch of terrorists? You mean like it did with israel or israel did with apartheid south africa?